APIIT is proud to announce its partnership with Pearson to offer the Pearson BTEC Higher Nationals at it’s Kandy Campus. Students will be guaranteed a superior learning experience with high quality teaching, outstanding facilities and unlimited Wi-Fi access to the Internet. The campus is located at the heart of the Kandy City at No 63, King’s Street. 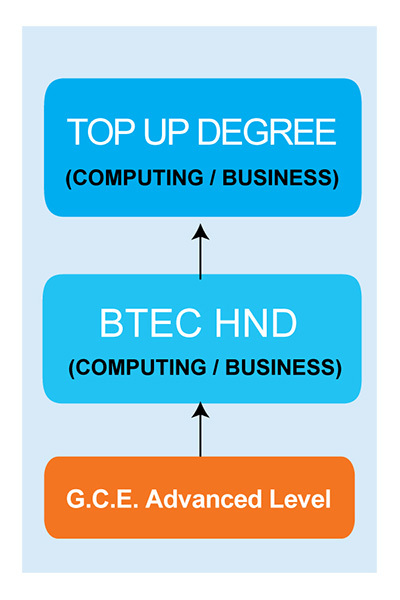 The Pearson BTEC Higher National Diploma’s in Business and Computing offered at the APIIT Kandy Campus lead to British degrees in Computing and Business.